Yes you can be on vacation any season of the year...!! 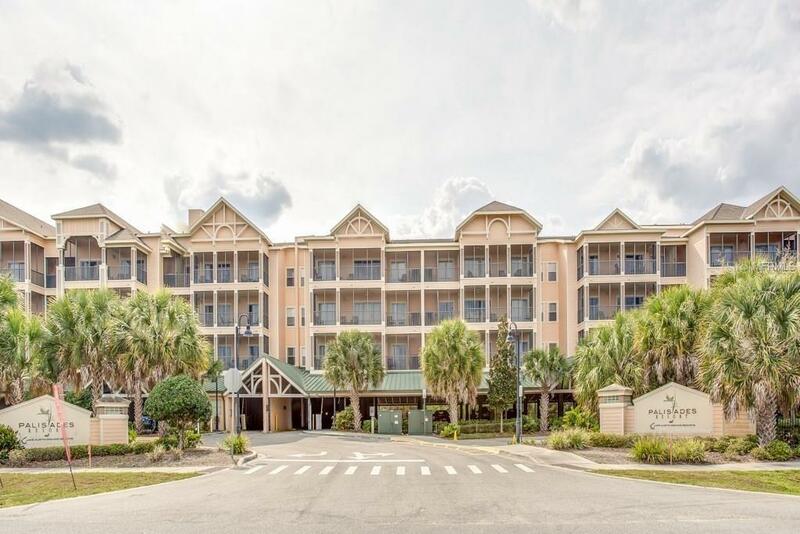 This resort located within the short term rental zone is unique with lush Florida landscaping and beautiful and mature trees. One of the few resorts in the area with a covered parking garage this condo offers sophistication and style as a completely furnished 2-bed/2-bath property. A spacious and open floor plan split bedroom plan and large screened in patio with sliding doors off of the living room and master bedroom make this condo inviting. It also comes with a fully equipped kitchen spacious living room with flat screen TV and nice size dining room. The master suite has a garden tub and separate shower. Property also includes a washer and dryer and everything you need for a comfortable stay. Amenities include a community pool spa sauna arcade movie theatre sundry shop business center reception area and meeting rooms offering 1400 square feet of space. Spend time with friends and family in your Disney area condo and rent it the rest of the year. Unit #219 located on the 2nd floor. Seller finance is available with 15% down! !